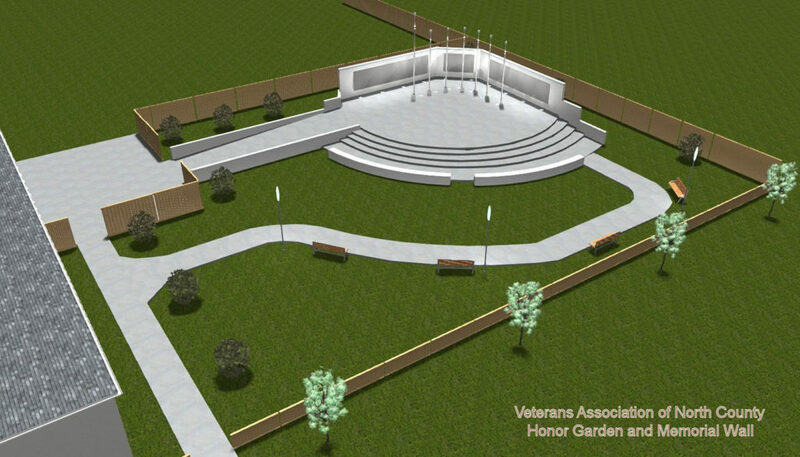 VANC has been planning the addition of an Honor Wall/Garden, and we now have a beautiful architectural plan. It will be a garden to visit, reflect, remember, and honor those who served our country and sacrificed, as well as those who are currently serving. We invite you to participate in creating our Honor Garden. 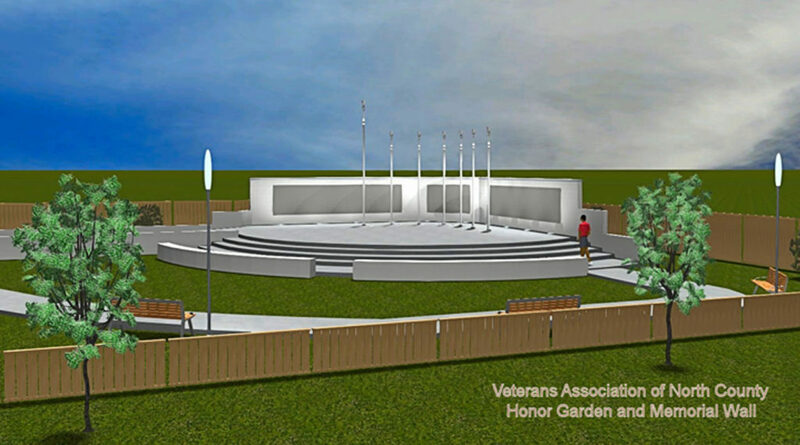 A number of community organizations are having fundraising events to help us raise $350,000 for the Honor Wall/Garden. We invite you to join us in these fundraising efforts. If you are planning a fundraising event, we suggest you contact our Event Coordinator/Planner, Suzanne, in order to minimize any conflicting dates. Suzanne can be reached at 760-717-3100. One of the focal points of the Honor Wall/Garden consists of metal plaques honoring servicemen & servicewomen, their branch of service, dates of service, and comments. The Wall will be placed along the back portion of the stage and can accommodate approximately 500 plaques. Click the link below to view/print the Program Information flyer about the plaques.